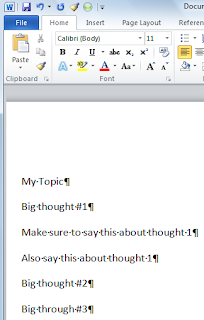 My Turn Quips: 4 Reasons to use Styles in Microsoft Word and a quick "how to"
4 Reasons to use Styles in Microsoft Word and a quick "how to"
Enables you to create a quick Table of Content in Word. 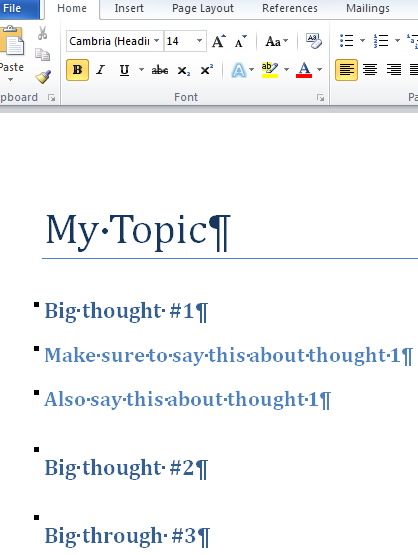 When starting any document, I start by sketching out some global thoughts. 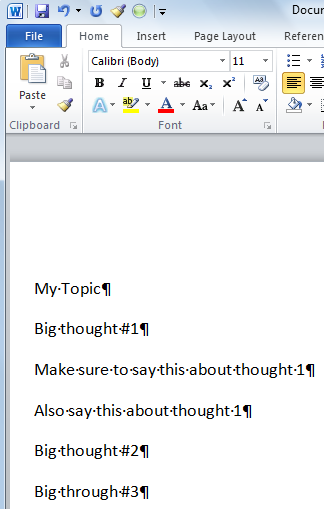 In the "old" days, many were taught to organize a document using an outline where you would experience an opportunity to try to look sophisticated by using Roman numerals. I don't find it necessary to go to that extent, simply jotting down some high level thoughts such as below is a good start. 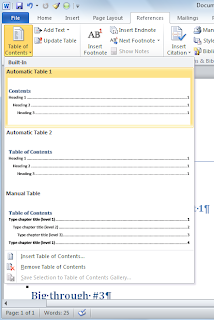 If you have used your Styles consistently in your document, you can easily create a table of contents by placing the cursor at the location in the document where you want your table of contents, then click on the "References" tab and then the "Table of Contents" button and select the table style that you prefer. 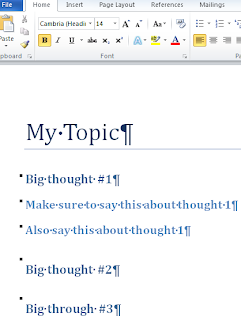 Viola, you have a professional looking table of contents as shown below. 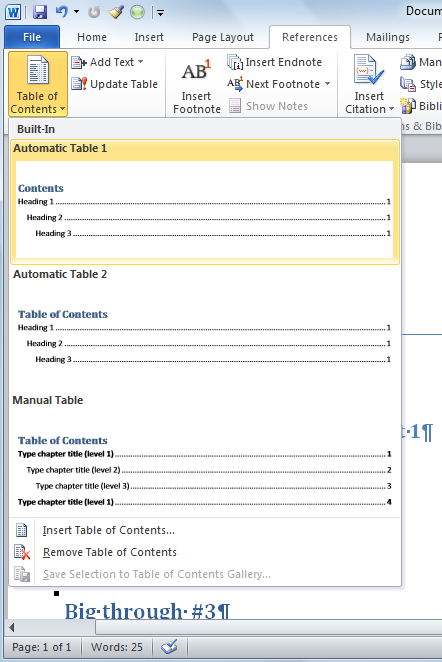 Note: As you edit your document, the page numbering may change; you can refresh the table of contents by right clicking on the table, then click "Update Field" and then "Update Entire Table".